This week a guest appeared as if by magic (and lots of stalking and nagging by Nib). Leiandra of Zanderfin’s Wow “Casual” Raiding joins us live! 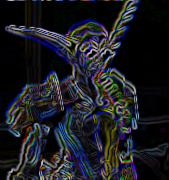 We talk about Blizzcon, 3.3 PTR and even throw in an email from a.. LOTRO Podcaster? We also talk a bunch about Azeroth United and our upcoming charity event! Don’t miss it! Join us on a special Thursday night recording at 8:00PM PST as we talk to Spooner of Spooncraft and he proves to us once and for all that there IS a spoon. We’ll be doing our whole show live! When is it? : This live show is scheduled for Thursday October 8th at 8:00pm PST (11:00 am EST). Not sure what time that is for you? Use this handy-dandy time converter! This week’s Shared Topic is Fails, brought to us by Skraps of ShamWoW. I am sure this topic has been covered, but among all my other fails I fail at searching. I have noticed a string of my recent posts covered how I fail, often epically. I would like to see how others fail. I think it is very good for newer players to see how those of us make dumb mistakes, even though we have been at this for quite a while. Obviously, we all clearly fail at some point. Perhaps that is why we have so many responses this week! Have a Shared Topic of your own to suggest? Think that you could make an awesome contribution to a Shared Topic? Have a blog of your own to register? 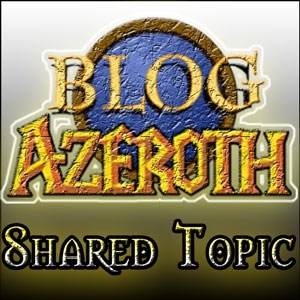 Head on over to the Blog Azeroth Forums. Next week’s Shared Topic: Penalty Systems and Entitlement in WoW. It is not the spoon that must bend… But YOU! .. Oh.. Our special guest is… Not here. Spooner from Spooncraft didn’t make it for the show. But.. The show must go on! So we talk about some 3.2.2 stuff , topics and a couple of your emails. We also go into some more details about Azeroth United! Check it out! 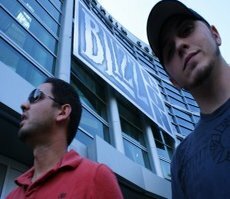 Join us on a special Thursday night recording at 8:00PM PST as we talk to Leiandra of Zanderfin’s Wow “Casual” Raiding. We’ll be doing our whole show live! When is it? : This live show is scheduled for Thursday October 1st at 8:00pm PST (11:00 am EST). Not sure what time that is for you? Use this handy-dandy time converter!